Greetings everyone! 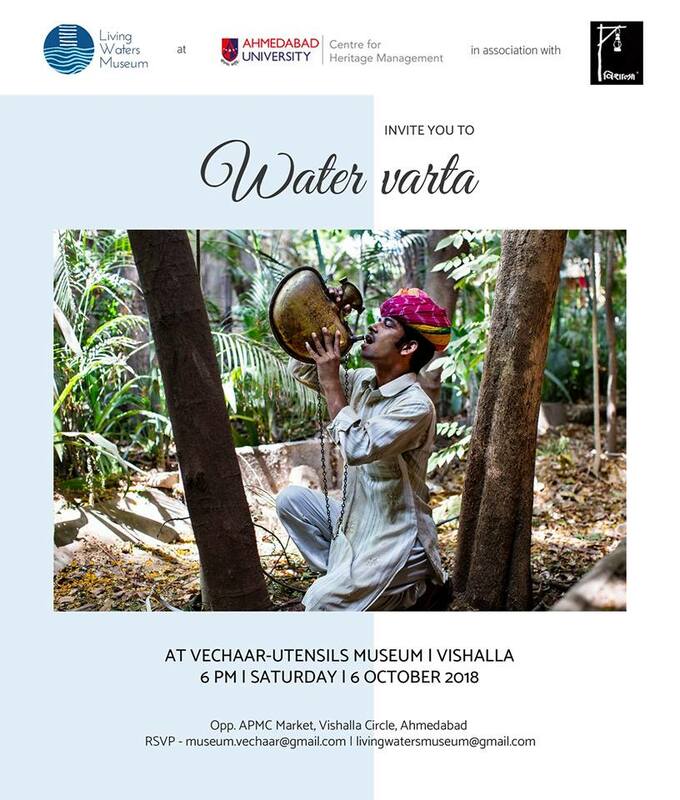 The LWM team proudly presents to you “Water Varta” – its own Multimedia exhibition with the Vishalla Restaurant and the Vechaar Museum of Utensils, Ahmedabad. The exhibition seeks to explore and celebrate our tangible and intangible heritage around water, food and cultural practices. Short film produced on Surendra Bhai Patel, founder of iconic city landmarks Vishalla and Vechaar. The water calls out to you to hear its beautiful story “Water Varta”. Let water be the force of nature to bind us. Do Join us with your friends, families and colleagues at this launch that is on October 6 2018, 6 pm at Vishalla Restaurant.